LAKELAND - Freida Sclafani Williams died on June 3, 2018 after a long fight with cancer. Born on August 10, 1944, in Deland, Florida, the only child of Rosie and John Sclafani, Freida was full of ambition. As a young girl, Freida was a talented dancer, with the skill and dedication to make this her profession. Instead, she went on to forge one of the most successful court reporting careers in Florida. Court reporting piqued her interest at an early age. When she was 9 years old, she placed the carbon between sheets of paper to help her mother type transcripts for the court reporting firm then-named Rosie Sclafani and Associates. After attending the University of South Florida, she became the judicial assistant to former Circuit Judge A. H. Lane. In 1962, Freida enrolled in the Stenotype Institute of Jacksonville and joined her mother's firm as a court reporter in 1971. In 1979, Freida was appointed a state official court reporter and served in that position until 1995. During this time, she also oversaw the daily operations of the Lakeland office. In 1980, the name of the firm was changed to Sclafani Williams Court Reporters, Inc. Five years later, Freida became president of the company to continue her mother's legacy once Rosie fell ill. Under Freida's keen management, the business was the first in the area to integrate new technologies, such as video conferencing, and digital reporting, and by the end of her career, she had opened 6 office locations. Among her many recognitions and achievements, Freida served as FCRA President 1999-2000, and was awarded with the prestigious Florida Court Reporting Association's Distinguished Service Award in 2002. She was the recipient of the National Association of Women's Business Owners 'Woman of Distinction Award' and Sclafani Williams Court Reporters, Inc., was listed in the Tampa Bay Business Journals' Top 75 women-owned businesses in the state of Florida in 2003 and 2004. Also serving as the Vice President of the Florida Official Court Reporter Association (FOCRA) an organization committed to court reporting education. More often than not, Freida wore black, red, and white with a sparkling swan pin, symbolizing her love of Lakeland. She will be remembered for her commitment to serving both the court reporting and Polk County communities while helping others achieve their dreams. Throughout her 36-year career, she mentored and encouraged countless court reporting interns- teaching them business strategies and best practices. In addition, she was heavily involved in the Society for Technological Advancement of Reporting, eventually becoming president in 2007, and was part of the Florida Court Reporter Association, the Daughters of the American Revolution, the National Court Reporters Association, the National Association Women Business Owners, the Lakeland Chamber of Commerce, and the National Network Reporting Company. In Polk County, she helped fundraise for the restoration of the historic Polk Theater, supported the Society for the Prevention of Cruelty to Animals (SPCA), and provided pro bono video conferencing services to the Polk Museum of Art. Freida believed that being involved in the community she loved gave her strength, 'You never know how strong you are, until being strong is your only choice' (BM). She will be missed. There will be a Mass on Saturday June 16th 2018 at 10:30 A.M. to be held at St Joseph Catholic Church , 210 W Lemon St., Lakeland, Florida 33815. Surrounded by loving family, on March 1, 2018, Kahryn “Queenie” Nix Wolfe lost her brief but valiant fight with cholangiocarcinoma. Kahryn was born to James Pentecost and Renee (Pentecost) McNett in Detroit, Michigan, on February 16. If I told you the year, Kahryn would return to this world and kill me. Kahryn moved to Phoenix in 1964, graduating from high school and the American Institute of Court Reporting. She started her court reporting career with Bartelt King in the early ‘80s. 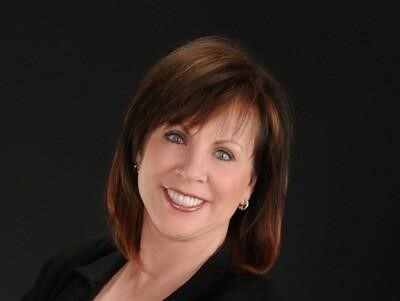 In 1985 Kahryn opened Nix & Associates, later merging with Larry Driver’s firm and launching Driver & Nix. In 2017 she rejoined Bartelt to form Bartelt | Nix. Kahryn was an active member and past President of the Arizona Court Reporters Association. She was a longtime member and supporter of the National Court Reporters Association and the Society for the Technological Advancement of Reporting (STAR). Kahryn networked with member agencies across the country and became known as “Queenie” to her friends. And there was, and always will be, only one Queen. An avid traveler, Kahryn enjoyed regularly attending NCRA’s Firm Owners Executive Conference and STAR conferences. Although she may not attend all the seminars, you would always find her at the social events, including organized dinners with friends, on the dance floor, singing around the piano and pop-up live music, laughing with court reporter and firm owner friends. Kahryn loved a party, and she made each conference a party to remember. Kahryn freely shared her knowledge of the court reporting industry, helping firm owners set up successful systems, explore new technologies, and sharing best practices. Her reputation for integrity and excellence attracted firm owners that were ready to turn over the business side of things to her. If you were a friend of Kahryn’s, she shared her strategy for merging with firms and acquiring businesses. Rule No. 1: Do what you say you will do, and then do more. Her generosity was not limited to the court reporting community. In 1998 Kahryn became involved with, and joined the board of, the nonprofit group Phoenix Youth at Risk, now known as New Pathways for Youth. She was the driving force behind many of the fundraisers for this program that was vital to helping at-risk youth achieve a new set of goals that positively impacted their futures. In the late 1990s Kahryn also began a clothing company called Kidz Blvd., which donated all profits to women in villages overseas to enable them to become more financially independent and purchase their own sewing machines and textiles. She was also a member of Arizona Legal Foundation for Services & Education, Women at the Top (WATT), the Rose Club, and Social Venture Partners. Update your haircut (and color choice) regularly. Earrings, bracelets, and rings – yes; necklaces -- no. There’s nothing wrong with looking. Kahryn is survived by her loving husband David, daughter Kayla (husband Enno), stepdaughter Susan, brothers Lee (Deanna), Michael (wife Ruth), and Bruce; sisters Cherri (husband Rick), Lisa (husband Tom), and Ann. Although the word “grandmother” was forever banished by Kahryn, she allowed them to call her KK, and they were her “G-Kids.” She is survived by her cherished G-Kids Lauren, Amanda, Jenna, and step G-Kids Alisha (husband Blake), Josh (wife Kristine), and four great step G-Kids Beau, Kennedy, Stella, and Charlie. Kahryn is also survived by loving nieces, nephews, and a host of long-time friends. The next time you are at a court reporter convention, tip a glass in her honor, get out on the dance floor, and always – always! -- have fun. Cheers, Queenie. Mike Clepper, 63, of Houston, Texas, passed away on June 2, 2017, at Methodist Hospital after a brief battle with cancer. Mike was born in Osaka, Japan, on March 19, 1954. He graduated from Roosevelt High School in San Antonio, Texas, and continued on to become a Certified Shorthand Reporter in the State of Texas. Mike worked as a court reporter beginning in 1985. He went on to found Independent Reporting with Terri Miller, which became known as DepoTexas, Inc., now Lexitas. Mike was actively involved in the Houston Court Reporters Association as Past President and was a Founding Member and Director of the Texas Deposition Reporters Association. Mike had a deep love and passion for the court reporting field. Mike enjoyed traveling and fishing. Mike loved horses and helped rescue and rehabilitate many wild horses. He enjoyed volunteering on Habitat for Humanity projects. Mike is survived by his wife Tammy Brown; children, Lauren Clepper, Sean Clepper, daughter-in-law Ashley Clepper, grandchildren Hayden and Andrew Clepper; stepson, Jordan Brown; mother, Patsie Clepper and stepfather, Warren Scott; sister, Lisa Clepper and brother-in-law, David Clugston; and brother, Larry Clepper and sister-in-law, Bonnie Clepper. Mike is preceded in death by his father Len L. Clepper. In lieu of flowers, donations may be made to ACC Foundation - The Michael Clepper Memorial Scholarship Fund at Alvin Community College or the American Cancer Society at www.cancer.org. It is with great sadness to learn that STAR member Jerry Kelley, CRR (Ret. ), passed away January 2nd, 2017. Anyone who knew Jerry would say that he was a true Southern gentleman. He was kind, shy, modest, had great faith, and he was a family man. He could also write like the wind. Back in the late 1970s when computer-aided transcription was making its mark in the court reporting profession, Baron Data sought him out as being an amazing writer, but more importantly, for being a techie. He embraced the new technology and was often teased for having the biggest personal dictionary. It was so big that the Baron programmers had to modify their software to accommodate his numerous steno outlines. Jerry loved technology and made it his mission to showcase the technology to his colleagues and counsel. Court reporters attending his seminars would learn about the latest advances in CAT and then realtime writing. He was always pushing the envelope of innovation so that we could benefit by having better, more intuitive software development. First working as a freelancer and then as an official, Jerry always tried to give back to the profession. He gave his time to local, state and NCRA committees. He was the USCRA editor from 1999-2006. Many of you may also know him from NCRA’s listserv. He was always sharing techie ideas and stories of interest related to court reporting. More importantly, he was always reminding us to change the date on our certificate pages in the new year and to be mindful of changing our clocks during daylight savings. In 2012, Jerry received NCRA’s highest honor, the Distinguished Service Award. What a testament to his greatness as a member of the court reporting profession. He leaves behind his wife Wanda, son Shawn, and daughters Crystal and Marissa. In lieu of flowers, the family suggested donations to Meals on Wheels of Collin County, 600 N Tennessee St, McKinney, TX 75069, or the Samaritan Inn of Collin County, 1710 N McDonald St, McKinney, TX 75071. 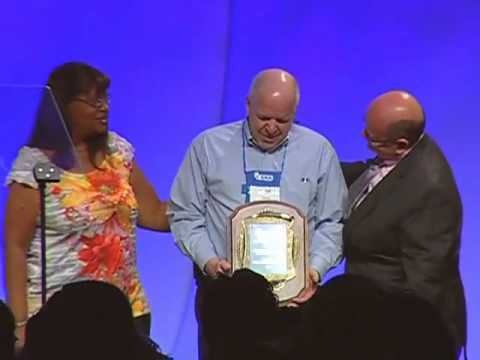 Here’s a YouTube video of Jerry receiving the NCRA DSA award in 2012. He will be missed.